Professor Warren Cohen of the University of Maryland is quite prolific, having authored twelve books, editing seven more, and contributing toward two textbooks. His specialty on East Asian relations is evident even in this book, published in 1987. 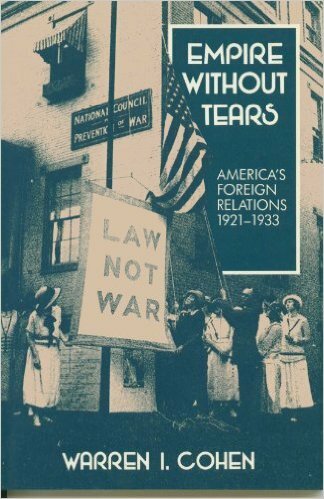 While it is approaching thirty years of age, it is still one of the best primers on foreign policy in the 1920s to date. It remains a book that needs to be written to supply what has continued to be a neglected and ignored even among “historians.” Too many seem blissfully unaware that the 20s were anything but naively isolationist, an uneventful and dull interlude between wars, aspiring to peace but fatefully predetermined for more violence. Dr. Cohen’s book puts this sorely mistaken impression not only to rest but in the grave. Yet, it continues to walk around these days as if it were respectable and informed, a kind of “undead” falsehood about the Harding-Coolidge Era. 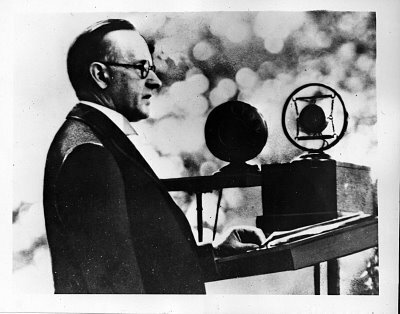 Cohen proves in his walk-through of events that, “In the 1920s the United States was more profoundly engaged in international matters than in any peacetime era in its history.” This includes America’s involvement with almost every important gathering and policy conference held by the League of Nations. Too many have echoed the notion that since America never joined the League, she never sent her diplomats and officials to take part in any of its deliberations or proceedings. Cohen reminds us this could not be more wrong. America was there at every step of the way to an extent never known before. It was during the 1920s that the United States stepped into the role of world leader, the creditor, guide, and peacemaker in a world devastated by global war. America was realizing it had become an empire but, being in the aftermath of war, it determined to live by higher ideals than that of mere force, coercion, dictation, and imperialistic displays of power. It aspired to reason and law and set about forming a new system that would be the example for the future. Americans wanted peace but to maintain it would take a degree of peaceful involvement the nation had not before undergone. This was to be an empire, for sure, but one “without tears,” without the upheaval and manipulation that historically characterized the empires of the past. To Cohen, who finds Wilson to have failed in his objectives, this ideal had flaws brought crashing down by the developments of the 1930s. Cohen begins with an introduction of President Harding’s approach, one that was far more involved for America than is recognized. The next three chapters deal in turn with the economic empire of America as it reached across the world, the peace movement, and the handling of revolution and collapse in Mexico, Russia, China, Germany, and Nicaragua. Finally, Cohen looks at the aftermath of the 20s, how the empire so carefully built to avoid tears had to renounce those impossible limitations following their failure in the 30s. Cohen concludes with a short summation, with all the convenience of looking back on events in hindsight. He still shares in the myopic tendencies historians nurse toward the 20s, as destined to implode. The era, in this regard, is handled no better by Cohen than anyone else filling in the gaps of understanding with what came afterward. He sides with Charles Evans Hughes, the Secretary of State under Harding and Coolidge, as well as Henry Stimson, Hughes counterpart in the Hoover administration, and most of all, Hoover himself. For Cohen, Hoover was better than his two predecessors, an assessment we believe here is undone by Cohen’s own claims. Hoover, for all his competence and experience, was simply driven by events too strong for any one individual. The Great Depression and the subsequent unraveling of the peace treaty system so carefully laid out in the 20s are not Hoover’s doing but the irrepressible forces of economics and militant nationalism around the world. This makes it appear that he was both helpless and did little to incur the consequences, as if events were that predetermined. 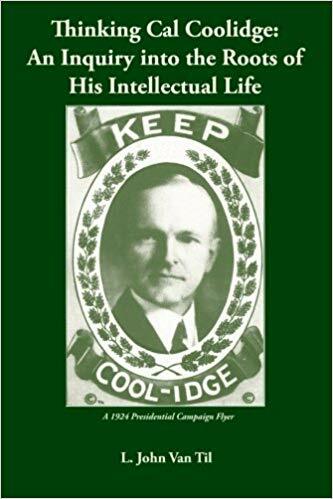 While Cohen grants that Hoover could make his own task harder, the ideological rigidity he criticizes in Coolidge and Harding is actually a defining attribute of Mr. Hoover. It was Hoover’s intransigence and stubborn refusal to deviate and adapt to circumstances when the conditions changed in order to navigate through problems, avoiding the needless creation of other conflicts, that undid him. He trusted few but himself as the master of all details. As such, he centralized nearly everything through the White House – an extraordinary level of micromanagement in peacetime. This, well-intentioned as it was, only worsened circumstances by confirming doubt in our institutions, our people, and our ability to work through even seemingly insurmountable difficulties if left to ourselves without incessantly suspending normal recovery, healthy liquidation, or a proper use of force in foreign and national defense policy. It was actually Coolidge and to some extent, Harding, who demonstrated the ability to adapt, think through a problem, delegate wisely, and help steer the course of policy toward ideals but not be blindly wedded to one only one course regardless of the constant change in a given situation. Coolidge’s years of experience in public office had taught him the value of thinking “on his feet,” as it were. It did not mean a forfeiture of principle but the tack and methods to arrive at the desired goal had to constantly adjust if the rocks and shoals of unsound and unhealthy destinations were to be avoided. Hoover, on the other hand, with little experience beyond bureaucratic administration and private sector management, ploughed ahead with preconceived means and goals worked out independently of real-time conditions or “facts on the ground.” He was the consummate planner, almost incapable of deviating from the textbook plan, whatever happened. Coolidge was not so naive. He knew the best plans unraveled quickly the moment any action is taken. His training and outlook had informed him to distinguish between essentials and superfluous details. Rarely did he confuse the two. One of the best illustrations of Coolidge’s adaptability can be found after the failure of the Geneva Conference, which Cohen lightly discusses in preference to the more successful Washington and London Conferences, in 1922 and 1930, respectively. Having just become clear that Britain would not yield on further armament reduction, with Japan likewise exceeding the United States in naval construction, Coolidge could have “dug” in, persisted on course to make it happen on those terms. He had learned there are other ways to “skin the cat.” He knew that peace did not foreclose adequate defense, and so national preparedness required naval construction to bring America back to a position of strength. Moratoriums in the name of peace served only those who would take advantage as Britain and Japan had done. 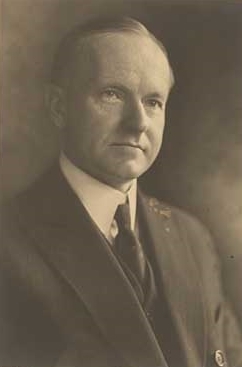 Coolidge would thus go on to approve the second naval construction bill of his administration, providing for fifteen cruisers and one carrier. Hoover, by contrast, would delay their completion and never did offer a naval construction bill of his own, even when remaining current with the treaty system demanded it. He failed to distinguish between the principle at stake and countenancing a different approach to achieve it. It was akin to Captain Smith of the Titanic approaching the iceberg with two styles in mind: 1. Like Coolidge, he could slow engines and turn the vessel to avoid the worst, or 2. Like Hoover, he could maintain speed and steam ahead unaltered. Overall, the book does supply a useful service to a better comprehension of America’s foreign policy. Cohen’s suggestions for further reading give a welcome addition to the literature on the subject, despite the age of the material, the gap of accurate comprehension still remains. This book remains important when so little is written or understood about that decade even now. Cohen, like any author, has his blindspots and omissions, such as never mentioning the crucial role of Alanson Houghton in the Coolidge administration’s approach to Europe. Cohen’s preference for Hoover certainly plays an unfortunate part in skirting a fuller accounting of the Coolidge record. He is simply dismissed as the inflexible, fiscally confined, ineffectual President that has become the lie accepted as truth since propounded by the “court historians” of the New Deal. Cohen makes little effort to investigate those claims or look beyond the patchwork veneer papered over “Silenced” Cal, especially in his foreign policy. Dr. Cohen’s book deserves a place in any renewed examination of those years and what they sought to achieve, however imperfectly, not as a guarantee of permanent peace but as a testament to the worth of ideals higher than the centuries of strong preying on the weak, force reacting with force, instituting instead a call to principles all nations owe obeisance. Cohen helps us catch a glimpse of that, even through his skepticism of it, and by reading we set out into a world nine decades removed that seems more lost and faithless now that ever. A generation this bereft of compass and course can surely benefit from a reexamination of a time when, having seen firsthand the horrors of modern warfare and global upheaval, Americans stepped into world leadership resolving to live for higher, better purposes than predetermined, utilitarian, nihilistic ends.